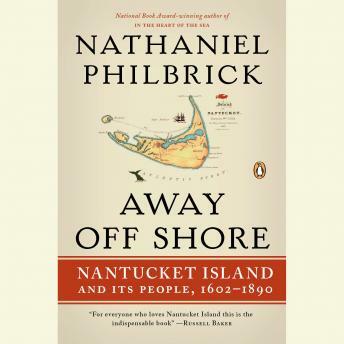 In his first book of history, Away Off Shore, New York Times-bestselling author Nathaniel Philbrick reveals the people and the stories behind what was once the whaling capital of the world. Beyond its charm, quaint local traditions, and whaling yarns, Philbrick explores the origins of Nantucket in this comprehensive history. From the English settlers who thought they were purchasing a “Native American ghost town” but actually found a fully realized society, through the rise and fall of the then thriving whaling industry, the story of Nantucket is a truly unique chapter of American history.